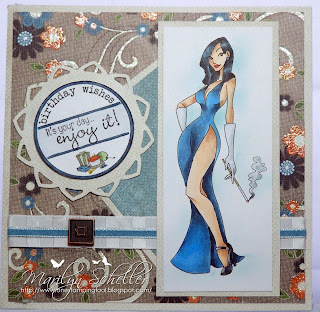 Two more cards today from Bizzy Bec's Pin Up Girls Collection. This one is Ginger Beer and can be purchased from Bec's store. 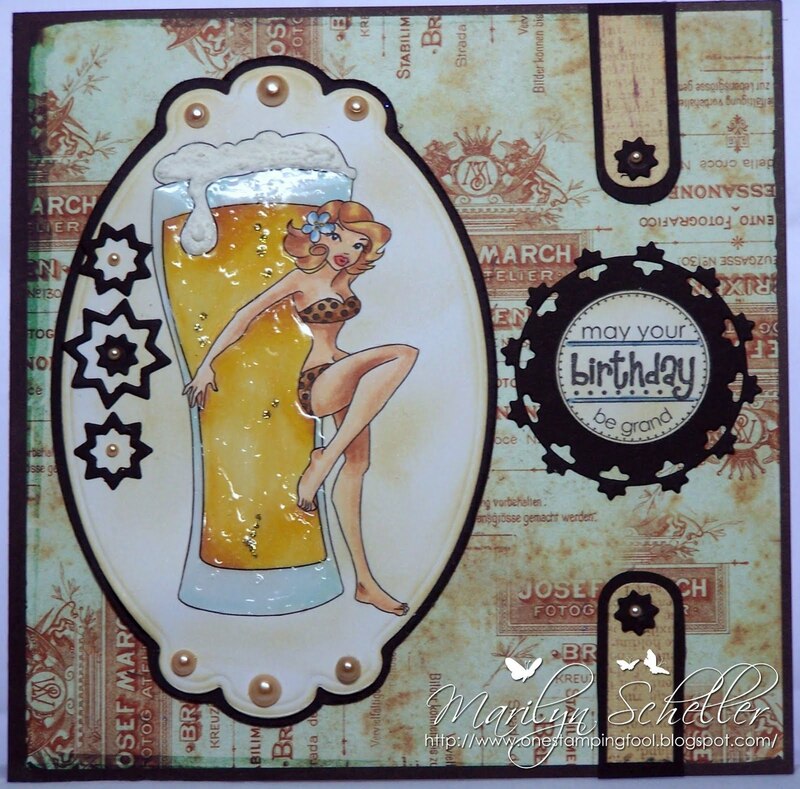 I coloured the image with Copics and then covered the glass with Glossy Accents and the foam is one of those snow markers where the medium puffs up when you add heat... very cool to watch.